Oracle Coffee operates in stark contrast to the amped-up nature of Hurley’s main job. Andy Hurley is a self-described "vegan straight-edge anarchist." He's also the drummer of the band Fall Out Boy. 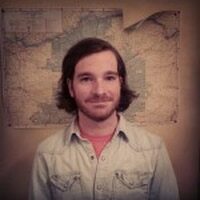 And, as of August, he's part-owner of a vegan coffee shop in Portland's Southwest Waterfront neighborhood. The contradiction of playing in a platinum-selling emo act currently touring arenas with support from Jaden Smith and operating a commercial venture at the base of an opulent westside high-rise isn't totally lost on Hurley. But when asked how he reconciles it all, he gets serious. "We all live under the yoke of capitalism," says Hurley, fresh from a CrossFit session while on a short break from tour. "It's an inescapable thing since we have to work jobs and make money and pay rent and pay for utilities. Living in America, which was built on slavery and the backs of people economically, I think it is kind of a hard thing to escape. It would have to be in a completely different system, and who knows if that would ever happen in our lifetime. "But, you know, being vegan is a similar thing," he continues. "It's a personal decision I can make. Having a coffee shop with friends who try to run it ethically and sustainably allows us to kind of approach it a little differently." In 2015, Hurley, 37, moved from his hometown of Milwaukee, Wisc., to Portland, mostly to make his weekly flights to L.A. to convene with his bandmates more bearable. It helped that Portland is a mecca for individuals with similar values as his, which endeared him to the idea of investing time into a capitalist venture he could be proud of. 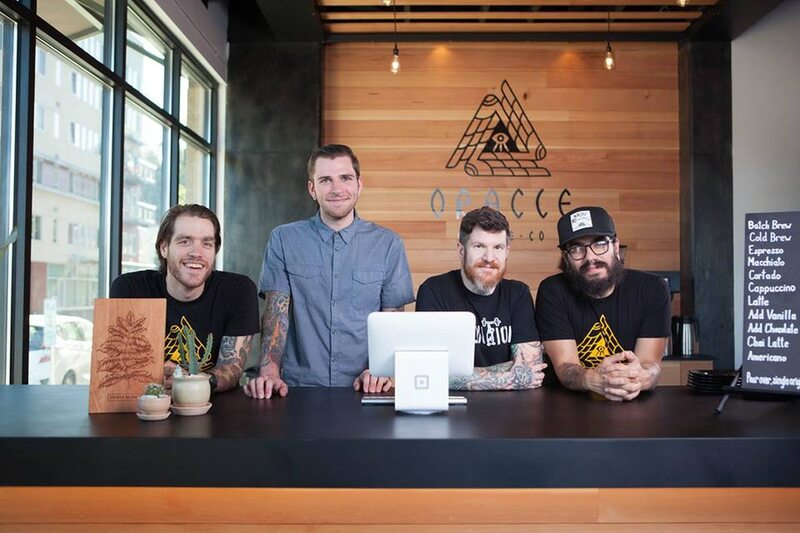 The result of those efforts is Oracle Coffee, currently one of Portland's only 100 percent vegan coffee shops dedicated to a rotating cast of roasters. Hurley co-owns the cafe with Travis Bennin and Wil McCarthy, two friends from back home who came to live with him in his mansion near Scappoose. Proud of his Midwestern roots and the work of his coffee comrades in America's flyover states, Hurley sees Oracle as an opportunity to spread the names of roasters that are likely foreign to Portlanders, like Blueprint in St. Louis and Colorado's Sweet Bloom. "At the time, there was no vegan multi-roaster specialty shop," Hurley says. "So we thought it would be a cool thing to try out. The other two guys were baristas for a long time, and I had a few connections as well. A lot of the multi-roaster shops carry Pacific Northwest roasters, so we thought it would be cool to bring in some stuff from the Midwest and beyond." Oracle operates in stark contrast to the amped-up nature of Hurley's main job. The baristas are polite and reserved, the ambiance is spartan and the music is chill. Hurley might be a rock star, but the sophisticated, no-frills nature of Oracle speaks to his personality. He admits to being the most low-profile member of one of pop-punk's biggest bands, and in that regard, both the politics and the proximity of Portland are a perfect fit for both his lifestyle and his business. "I have it OK because I'm not really the high-profile dude in the band," Hurley says. "I don't have paparazzi ever recognizing who I am. It's a good intersection, because I can raise these issues with people who are fans of the band and get them thinking about being vegan or straight edge or getting into fitness or thinking about political issues. Fall Out Boy isn't an outright political band, but we all have beliefs on our own, and it's cool to have a dialog with people." GO: Oracle Coffee is located at 3875 SW Bond St., 971-339-9002, oraclecoffee.com. Open daily 7 am-7 pm.